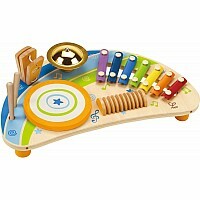 Make wonderful music and explore melody and rhythm with this innovative set. 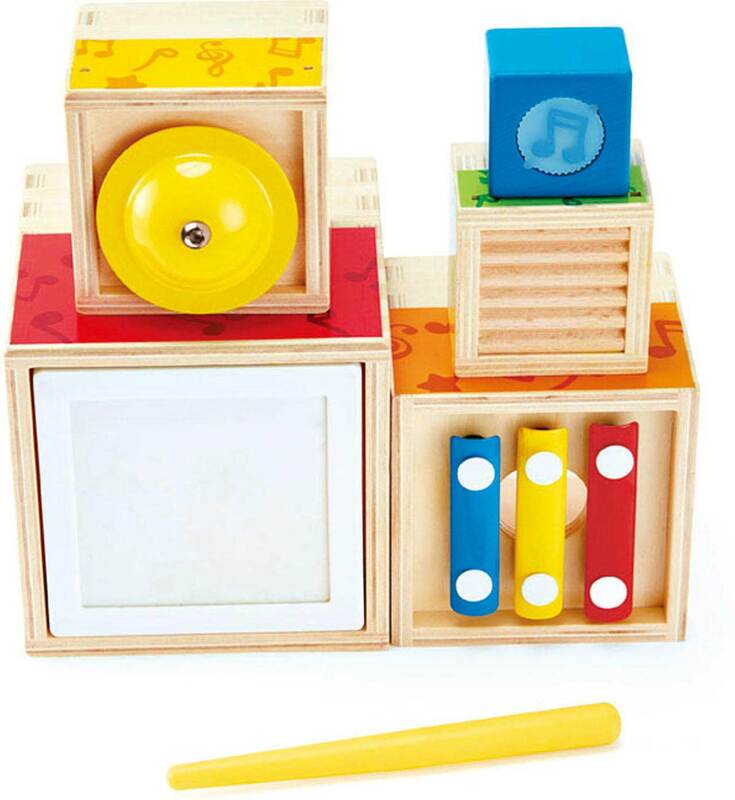 Children can stack the differently sized blocks in any way they see fit, exploring music and shapes as they play. 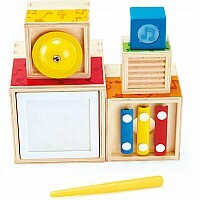 The set consists of five separate blocks, each of which are a musical instrument in their own right, and one baton. 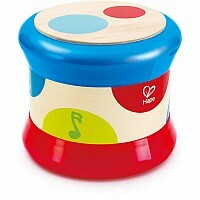 The set includes a drum, a xylophone, a rattle, a scratch board and a mini-gong. 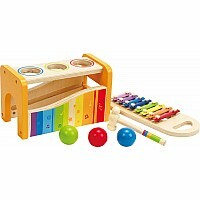 The musical blocks can be stacked together and easily carried around thanks to the handle and the set's innovative design, and played in numerous ways, i.e when stacked on top of each other or separately. 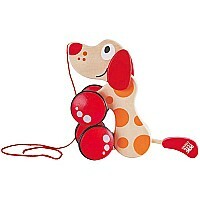 Made from high-quality, durable wood and metal. Suitable for children aged 18 months and up. Measures approximately: 9.84 x 5.12 x 9.45 inches..